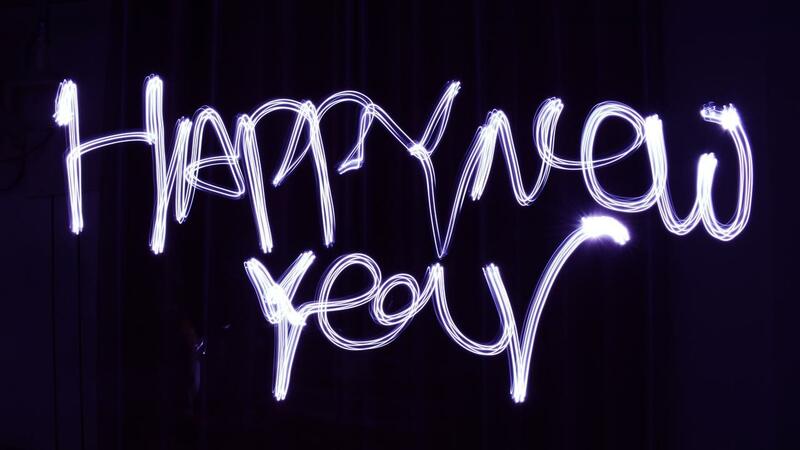 How you start the year impacts how the rest of the year goes. We are a triune being - mind, body and soul. It's important to invest in each area of your life to live your best life! Which is why in the month of January, we took 21 days to pray and fast to put our focus on God. Stats: Average American lives to be 74 years old. 24 years sleeping. We sleep 1/3 or our life. 24 years working. We work 1/3 of our life. 10 years of our life watching tv. 1/7 of our life. 2,000,000 commercials. Today, we honor the life and legacy of Martin Luther King Jr. He was someone who believed what the truth of God's Word said and obeyed it. He lived out the Word no matter what it cost him. He preached Galatians 3:28 ESV tells us: “There is neither Jew nor Greek, there is neither slave nor free, there is no male and female, for you are all one in Christ Jesus.” As we remember this faith-filled man, let's commit to living a life that believes the best in others and builds one another up. The C3 Family is on Day 16 of 21 Days of Prayer and Fasting! It is the final week and I have been praying for each of you that you would experience God's love and presence in a new way. 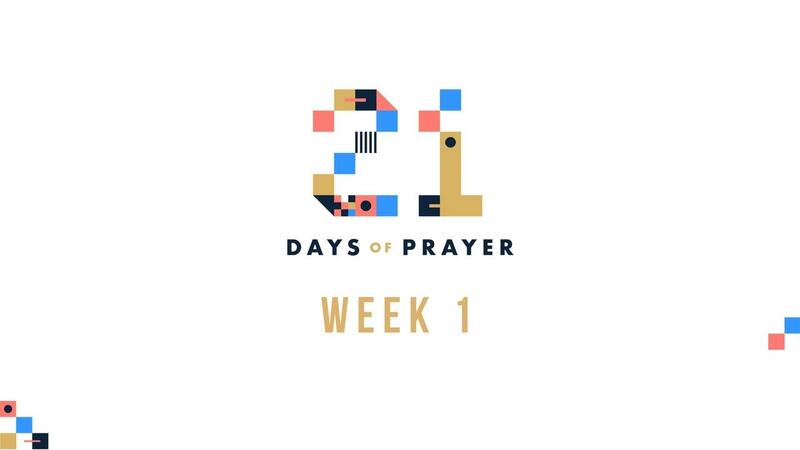 We have completed Week 1 of 21 Days of Prayer and Fasting and onto Week 2 this week! We believe the prayers you're praying and the miracles you're believing God for are going to be answered according to His will. Don't give up, keep praying, keep pressing in, because we're just getting started! This Thursday, January 17th at 7pm is the ARC Night of Prayer at C3 Church! This is a unique and powerful time of prayer and worship as we gather churches from all over our state together under one roof to pray for our communities, state, nation, and world. Join us for this very special and important service. It is not limited to ARC churches, so all are welcome. Bring your family and friends! We will continue to have Facebook Lives everyday at 6am and that same prayer video will be posted on all our social media platforms, so be sure to watch it, like it, and share it! Use the hashtag #21DaysAtC3 when posting! Today is Day 2 of 21 Days of Prayer and Fasting. Each day we will be premiering videos on YouTube, Facebook, Twitter, and Instagram from leaders in our church who will be sharing a devotional and leading us in prayer. Be sure to check those out on social media Monday-Friday for the next 21 days! Click the image above for the first one! Prayer and fasting help us get into spiritual order and hear clearly from God. When we are in spiritual order, we choose to listen to the voice of the Holy Spirit. Our body and soul (mind, will, & emotions) are no longer in control. The Bible also says that there are some things we can only know through prayer and fasting, so when we fast we can receive great revelation! We encourage everyone to do the Daniel’s Fast, which is basically eliminating meats and sweets. There is a list of recommended food below. 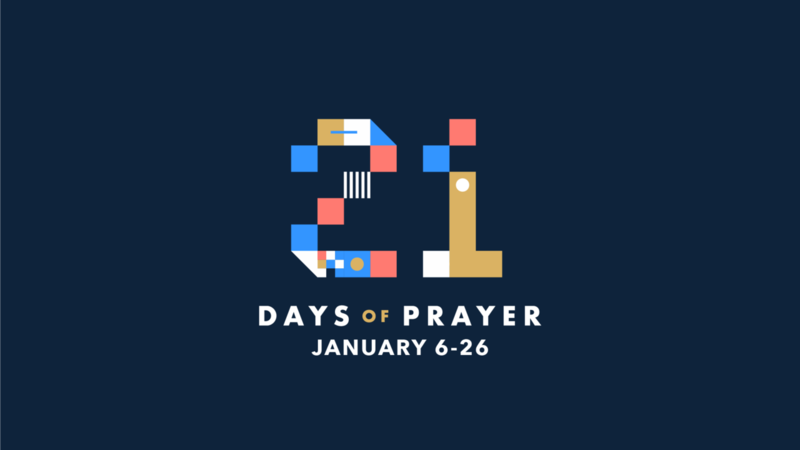 Starting Sunday, January 6th through January 26th, our church family and many other churches around the world are taking 21 days to seek God through prayer and fasting. Join us for our prayer gatherings throughout the week on January 12th at 9am, January 17th at 7pm, January 19th at 9am and then join us for the last Saturday of the 21 Days for our Dream Team Conference at 9am on January 26th. We will also have Facebook Live happening at 6am Monday - Friday with a 3 minute devotional and prayer. This will be our daily time of prayer together, so be sure to join us for this on Facebook! 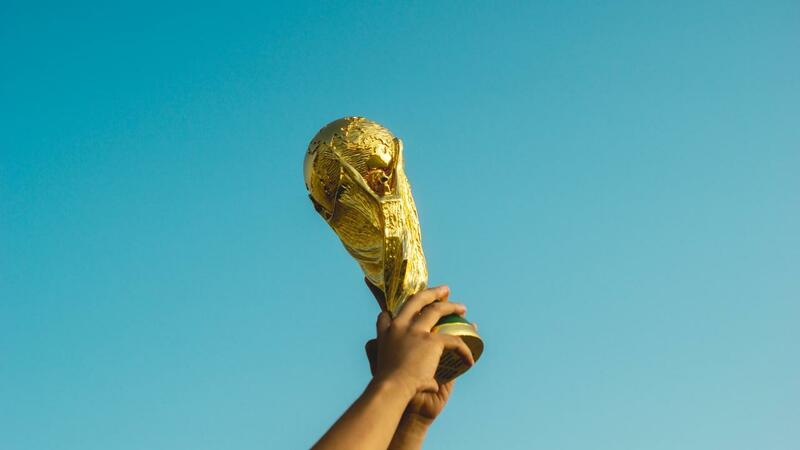 MONDAY MOTIVATION: 31 WAYS TO MAKE 2019 YOUR BEST YEAR EVER! 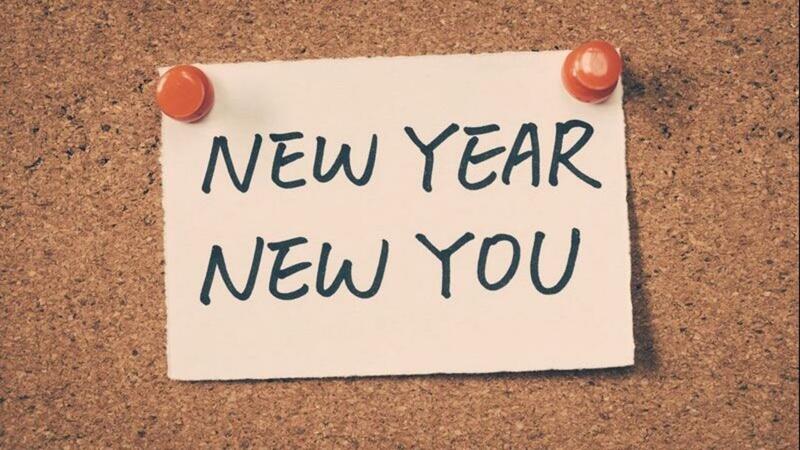 31 WAYS TO MAKE 2019 YOUR BEST YEAR EVER! I believe that no matter what your 2018 was like that this next year can be your best year ever! I have learned the power of the words that I speak. What you say about yourself will impact your life and your future. How you finish this sentence has a tremendous impact on your life, I am ___________. There’s nothing wrong with be honest with God and others about how you feel. But if you declare those words over and over you will start to believe them and it will impact your attitude and your actions. We are right in the middle of our Christmas Eve services today, and if you want to join us we have 3 more today at 12:00pm, 2:00pm, and 4:00pm. Join us online at C3Church.com! There's always that one guy (or girl) in the family on Christmas with the best one-liners, so I'm gonna help you out... Ha! Q: Why can't the Christmas tree stand up? Q: What do you get if you cross mistletoe and a Uncle Si from duck dynasty? Q: How do you know when Santa's in the room? A: You can sense his presents. But Christmas is more than gifts and presents its about the GIFT of HIS PRESENCE! He’s Immanuel – God with Us. 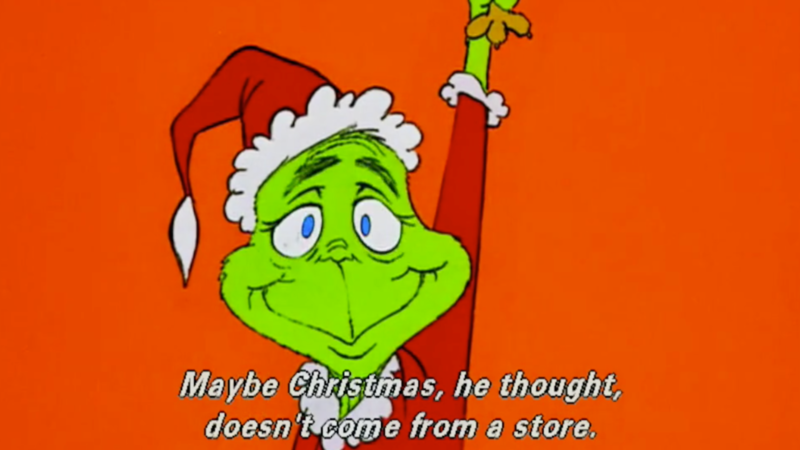 How the Grinch Stole Christmas is a movie about a change of heart. How many of you love Christmas?! Everything from the decorations, the lights, the gifts, the songs, etc. 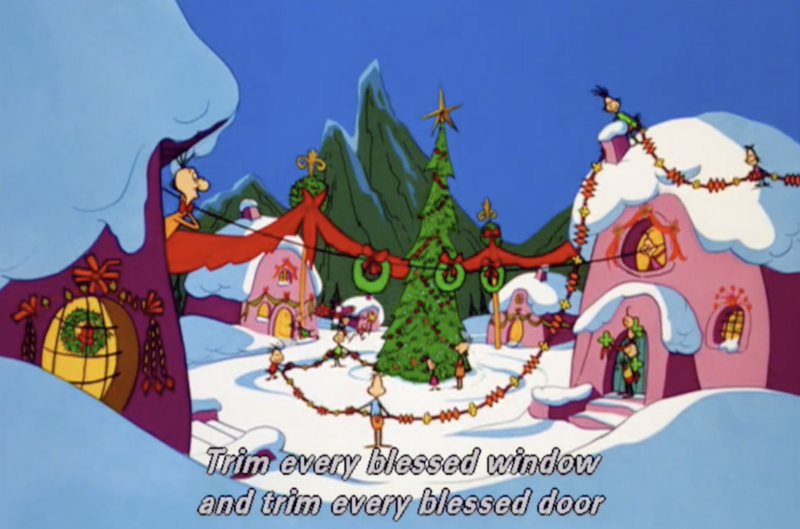 In the story of the Grinch Who Stole Christmas the Who’s love Christmas. I love the sheer abandon with which the Who's celebrate Christmas. They put everything, body and soul, into celebrating it - they are singing (worship) and laughing, and enjoying one another. Fun. Isn't that how Christmas should be? Fun! It's a celebration, but we let Satan steal our joy with all the things that should make it fun and joyous. Sometimes we start getting critical: why are they decorating so early, did you see how they decorated their house - who cares and why have an opinion? We are stressed from decorating, Stressed over buying presents. The greatest gift that you can receive this Christmas is Jesus! 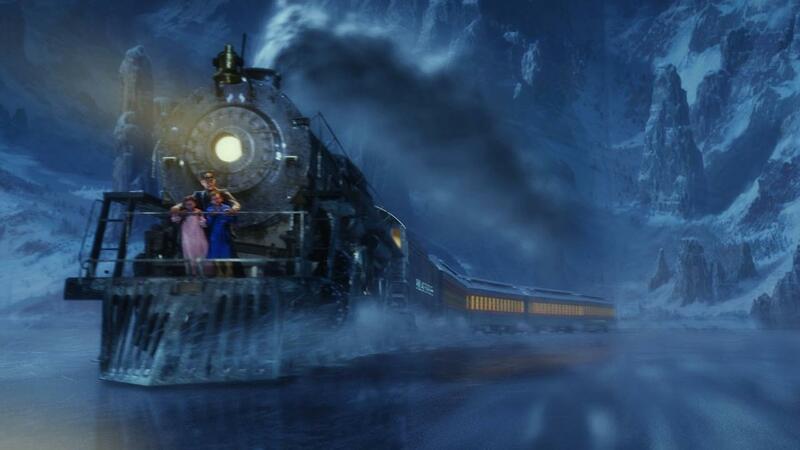 One of my favorite Christmas Movies is The Polar Express. 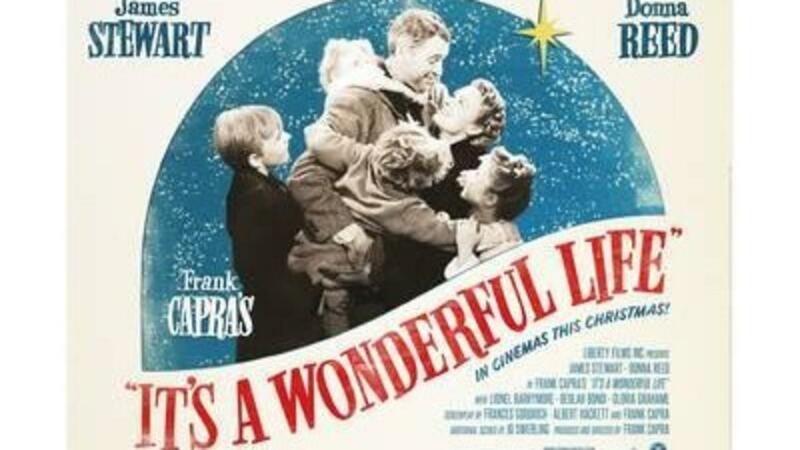 In this movie, a doubting boy boards a magical train on Christmas Eve, which is headed for the North Pole. He and a little girl who become friends as they are guided along by the conductor. A magical train shows up and takes them on a magical ride to the north pole. The boy learns how to overcome his doubts and believe.